Alexandre Pato now a free agent after announcing his departure form Tianjin Tianhai. Alexandre Pato has left Chinese Super League (CSL) side Tianjin Tianhai, the former AC Milan forward announced on social media. Pato, who joined the club two years ago from Villarreal, released a statement on Instagram declaring his stint in China was over. "I'd like to inform you that my adventure in China has come to an end," the 29-year-old said. "These two years in China were full of happy moments and new experiences. 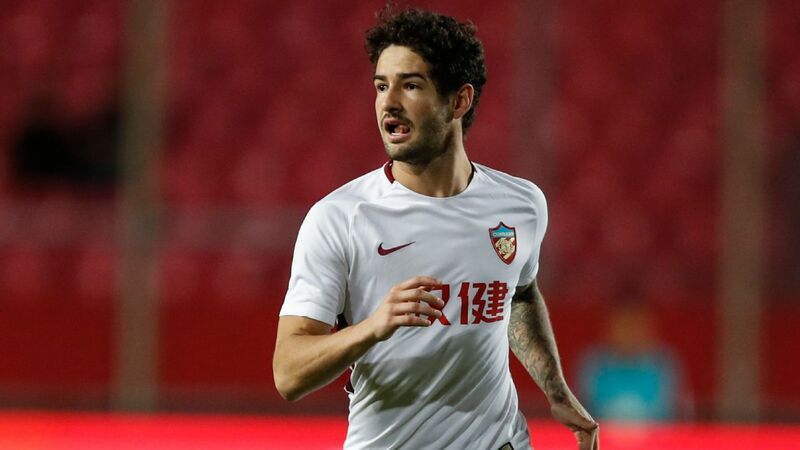 The cancellation of his contract with Tianjin means Pato is now a free agent and expected to return to his native Brazil after a successful two-year spell in the CSL. Pato joined Tianjin Quanjian following the club's promotion to the top flight of Chinese football at the end of the 2016 season and his 15 goals in his debut campaign were vital to the club securing a top three finish at the end of their first year. That got Tianjin into the Asian Champions League for the first time in the club's history, where they reached the quarterfinals before losing to eventual winners Kashima Antlers from Japan. Despite their run to the last eight in the continental championship, however, Tianjin's form faltered in the league in his second season and, having flirted with relegation, they finished the domestic campaign in ninth. Worse was to follow in December when owner Shu Yuhui was arrested due to alleged irregularities within his Quanjian Group, forcing him to relinquish ownership of the club. Without Shu's backing the club struggled and the Tianjin Football Association was forced to step in and take over, changing the name to Tianjin Tianhai and imposing significant budgetary restrictions. As a result, speculation had been rife that Pato would leave the club and he did not feature in either of the team's opening games of the 2019 Chinese Super League season.